Enterobacteriaceae are a family of bacteria that commonly cause infections in health-care settings as well as in the community. The family includes more than 70 genera but Escherichia coli, Klebsiella species, and Enterobacter species are the most common in healthcare settings. Until recently, carbapenems have been the treatment of choice for serious infections due to these organisms. However, resistance to these agents has emerged in the Enterobacteriaceae family by various mechanisms and is now a major concern worldwide as infections caused by carbapenem-resistant Enterobacteriaceae (CRE) are difficult to treat and are associated with significant morbidity and mortality. 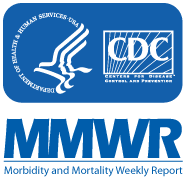 A recent CDC MMWR report used three different surveillance systems to describe the extent of CRE spread among acute-care hospitals in the US as well as the proportion of clinical isolates resistant to carbapenems. They found that while CRE are relatively uncommon, they have spread throughout the US and their rates have increased during the past decade. During the first 6 months of 2012, 4.6% of the 3,918 US acute-care hospitals performing surveillance for either CAUTIs or CLABSIs reported at least once CRE to the National Healthcare Safety Network (NHSN). CRE were more often reported from long-term acute-care hospitals (17.8%) and the percentage of hospitals reporting CRE was highest in the Northeast of the US and among larger and teaching hospitals. Data from NHSN and the Nosocomial Infection Surveillance system (NNIS) showed that the rate of carbapenem resistance among Enterobacteriaceae increased from 1.2% in 2001 to 4.2% in 2011, most of this increase was among Klebsiella species (from 1.6% to 10.4%). Data from population based surveillance suggest that most (96%) clinical CRE isolates came from cultures collected outside of the hospital from patient with substantial health-care exposure, particularly recent hospitalization (72%). Although nearly all patients with CRE were currently or recently treated in a healthcare setting, these organisms have the potential to spread into the community among healthy individuals. A combination of infection control strategies applied on national level are needed to control the rise of carbapenem resistance among the Enterobacteriaceae and the spread of CRE. These include active case detection, contact precautions for colonized or infected patients and patient, and staff cohorting as well as strict antibiotic stewardship in all settings. Particular attention should be given to long-term acute-care hospitals which have historically had less developed infection prevention programs. Such coordinated infection prevention and control programs implemented on a national level have been shown to be effective for controlling the rise of CRE, for instance the containment of KPC-producing strains which emerged in 2006 in Israel. Centers for Disease Control and Prevention (CDC): Vital Signs: Carbapenem-Resistant Enterobacteriaceae. MMWR. 2013;62:165-170.